The CIA generals were so sick of playing with toy soldiers that they decided to do it the adult way. 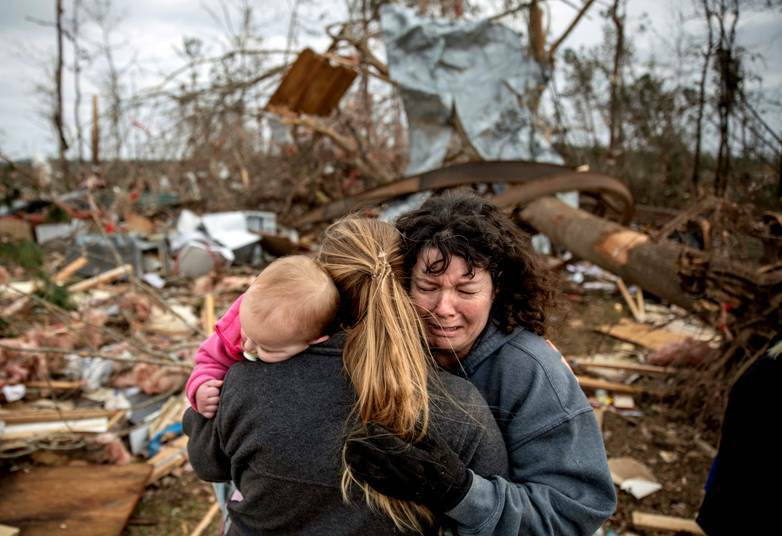 Tornadoes, that no one can see or hear, simply don’t exist in nature. 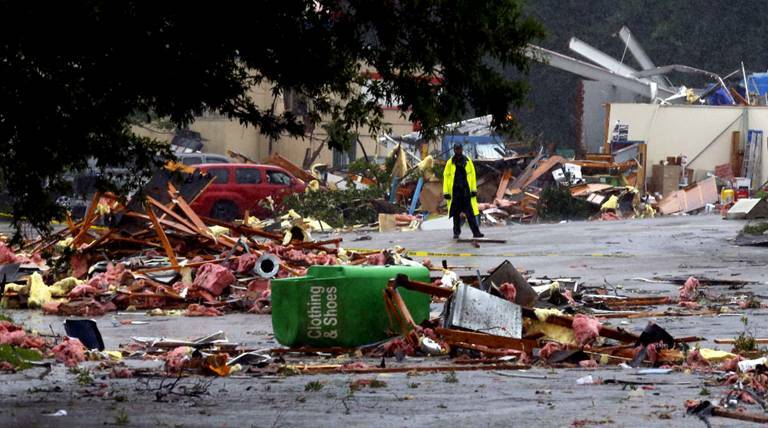 Tornado, which explodes out of the ground, and goes right along the main street of the city, the same- don’t exist. 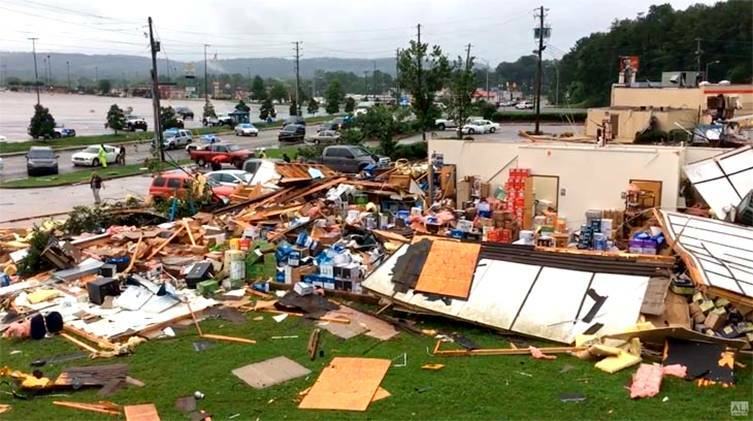 There was no tornado: there was a thunderstorm and a rainstorm, on the internet there was mostly a single photo of a tornado in Alabama 2011. There were no warnings until the very Sunday afternoon. No evidence of a tornado near a home, or a loud trumpet sound that always accompanies a tornado. The air drones clearly show that the destruction of homes is absolutely identical in character. 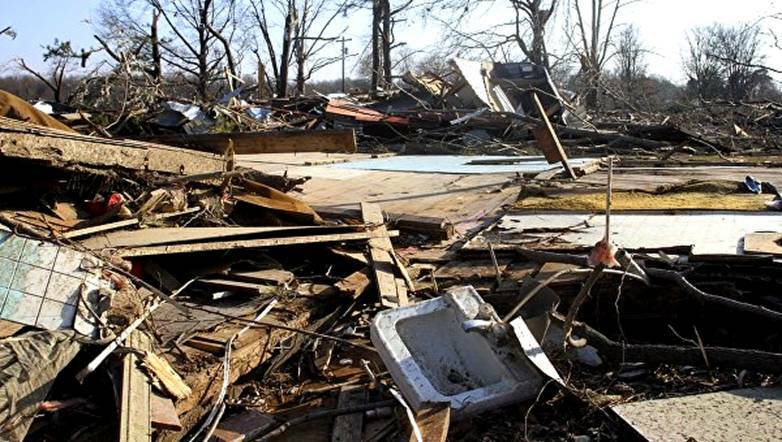 Quarters lie in ruins in exactly the same pattern – this does not happen when a real tornado hits. 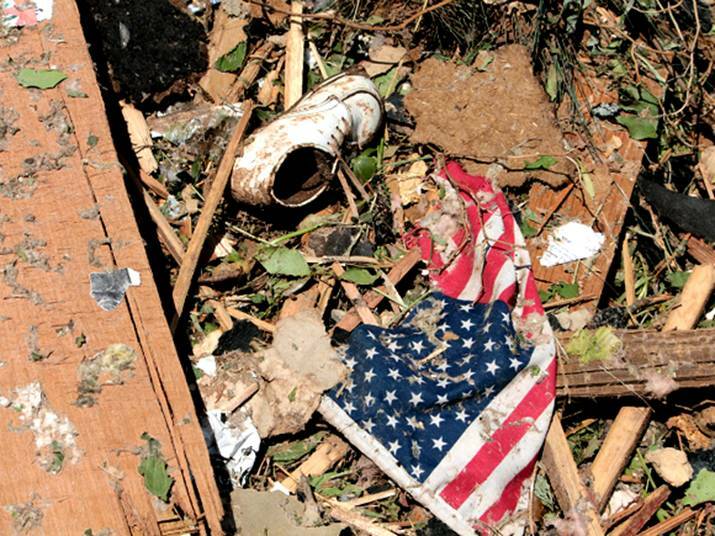 Destructions during a tornado are chaotic, no two are alike. And what kind of a “tornado” hits ONLY residential houses of the poor, breaking it into small pieces, – while cars and government institutions in surrounding are left untouched? Look for fools, who will believe you, on the moon, gentlemen. What happened in Alabama was an orchestrated directed blasts or the use of wave weapons. 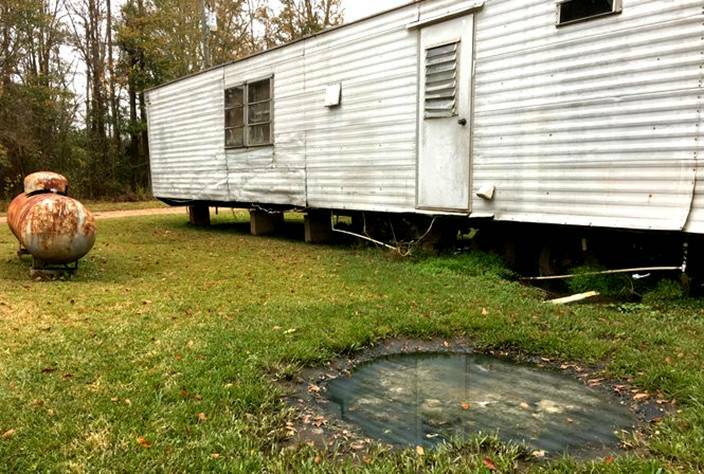 Jonathan Clardy told the AP: he left the town with his children in his trailer in Beauregard, Alabama. And it would immediately disperse the debris from the affected buildings around the area. BUT THE PIECES ARE LOCATED IN THE SAME PLACE AS THE HOUSE WAS HIT. The main line of destruction was the Main street of the town of Beauregard, Lee district. The strip is 800 meters wide, 26.73 miles long in Alabama and 43 miles long in Georgia. 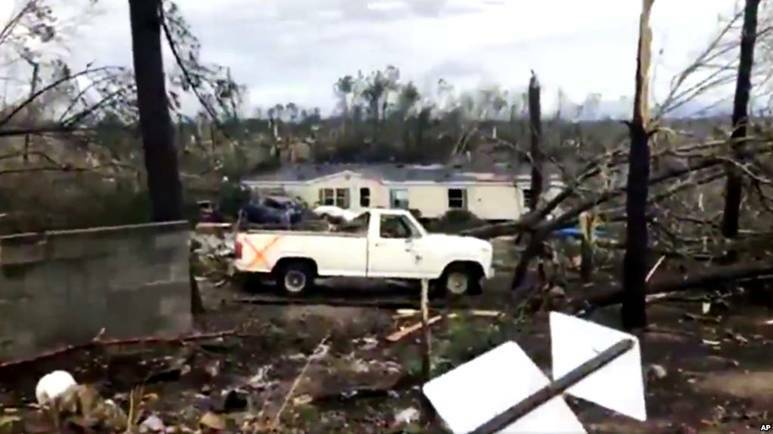 Destroyed were privately owned homes and trailers. They turned into slivers and dust. 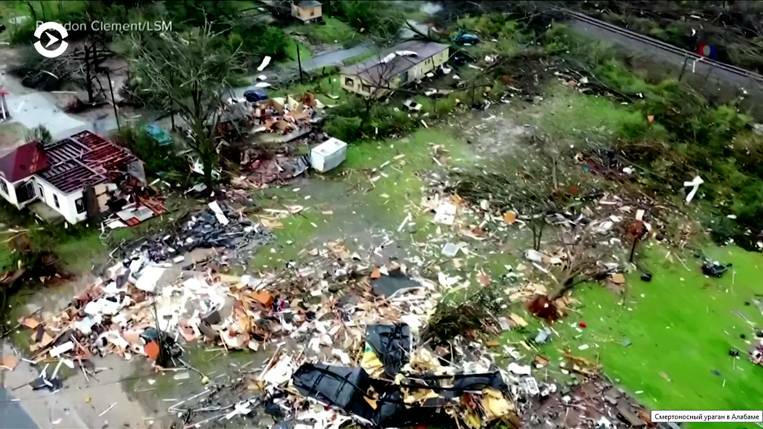 Homes are torn apart and crushed. All the cars around the houses in the area are intact. Another detail: the roads and sidewalks of the destroyed houses are clean. The red and gray cars here – remained untouched. All parked cars left untouched. The hit was directed precisely at the occupied homes. HIT THEM OWN CITIES, MIXING IT WITH DUST! WE CRY WITH YOU, ALABAMA!